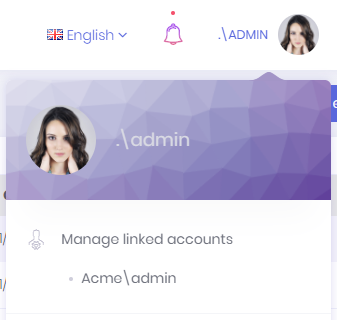 Linked accounts are used to link multiple accounts to each other. In this way, a user can easily navigate through his/her accounts using this feature. User can link new accounts or delete already linked accounts by clicking the "Manage accounts" link. 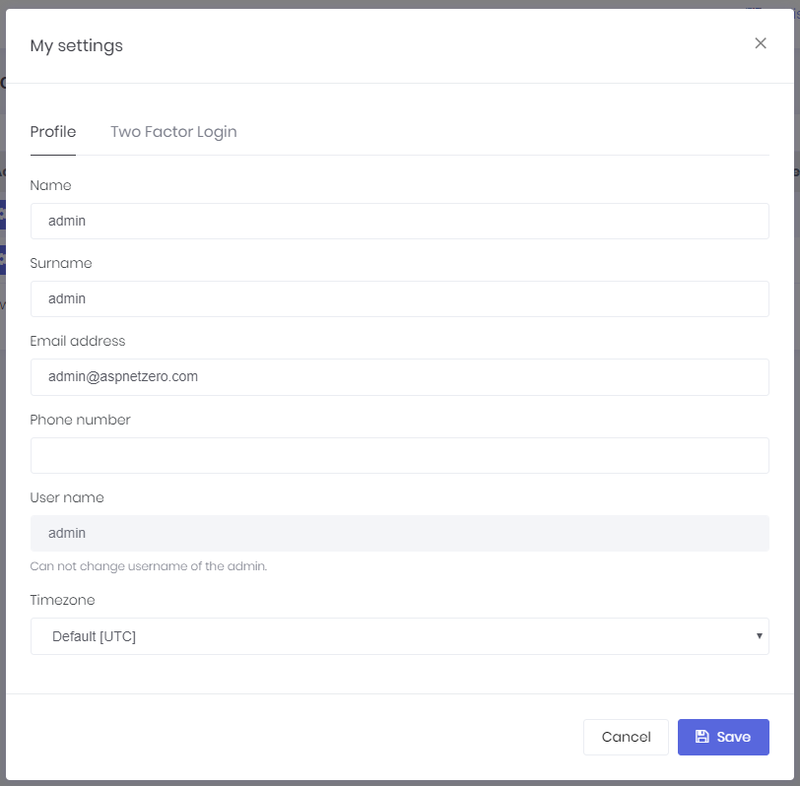 In order to link a new account, user must enter login credentials of related account. UserLinkAppService class is used to manage application logic for account linking, UserLinkManager class is used to manage domain logic for account linking. As shown here, admin user name can not be changed. It's considered a special user name since it's used in database migration seed. Other users can change their usernames. 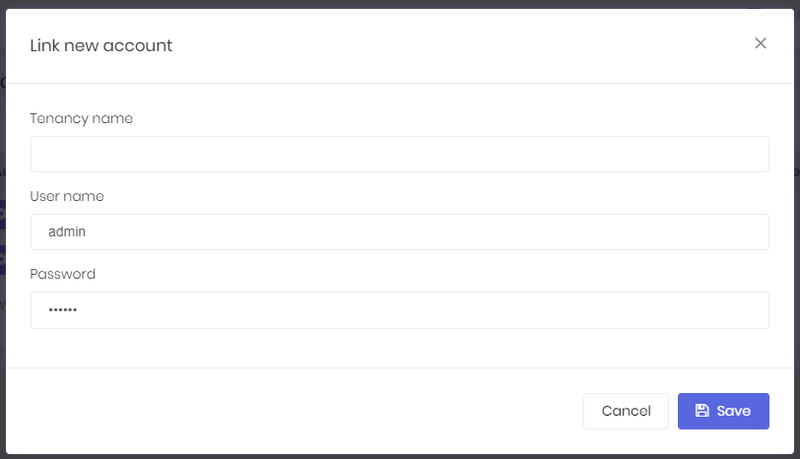 ProfileAppService is used to get/change settings. 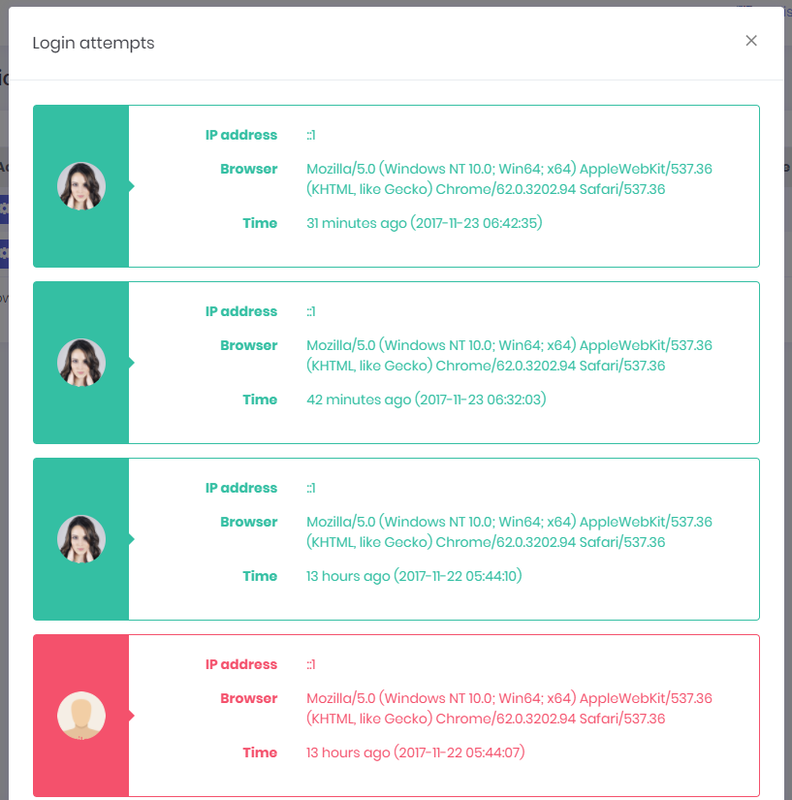 All login attempts (success of failed) are logged in the application. A user can see last login attempts for his/her account. UserLoginAppService is used to get login attempts from server. A user can change own profile picture. ProfileController is used to upload and get user profile pictures. Currently, JPG, JPEG, GIF and PNG files are supported, you can extend it. ProfileAppService is used to change password. 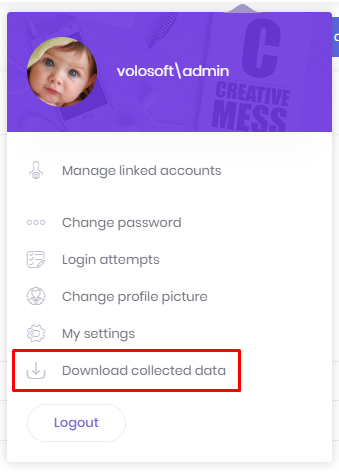 A user can download his/her collected data using this menu item. AccountController is used to logout the user and redirect to Login page.